The key to Latino empowerment starts with good credit. One of the reasons my family was able to get by was because of tandas (some of you call them cundinas). For the unfamiliar, it’s basically a small group of people–usually neighbors or coworkers– lending small amounts of money to one another. Let’s say that 10 people agree to participate. Everyone agrees to chip in $100 every month for 10 months (one month for every person involved). At the start of every month, one person in the group takes the entire pool of money, $1,000. You do this until everyone gets to collect the pool of money. This practice is basically a short term loan, the same kind of thing that banks and credit card companies do. The only difference is that there’s no interest collected (which is how financial institutions make money) and that it’s not reported to the credit agencies. This last part is what screws Latinos over. You can’t really do much in this country without good credit, and one way to establish good credit is by having a history of consistently paying off what you owe. Which brings us to Jose A. Quiñonez. The former undocumented immigrant — he and his family came from Mexico and gained citizenship thanks to Ronald Reagan’s amnesty program — was recently named as one of the 23 recipients of the MacArthur Fellowship, which is best known and most commonly referred to as “the genius grant” and comes with a stipend of $625,000. And the reason for being named a genius? He created a system that basically reports tanda-like activity to the credit bureaus, helping countless Latinos build and improve their credit. I can’t stress how important this is. According to the Los Angeles Times, Quiñonez’s nonprofit organization, Mission Asset Fund, has helped the average participant’s credit score by a whopping 168 points. That’s a game changer. A poor credit score is anything below 600, whereas an excellent credit score is above 750. Those 168 can mean the difference between renting or owning, which is a big deal when you consider that the majority of a household’s wealth comes through home ownership. And it’s an even bigger deal when you take into account that Latinos are twice as likely to get rejected for a home loan. So not only Quiñonez worthy of being called a genius, but he should also be considered a saint. This couple is getting some much earned praise for their genius method for sneaking food into the movie theaters. Seriously. Someone actually went and created a tortilla towel. It’s Fall again, and while New York City might still feel like Labor Day hasn’t happened yet, a new Fall staple has definitely sunk in, People asking me if I’ve seen “Narcos” yet. Yes, Narcos is a very popular show. It is, however, a show that is difficult to watch as a person born in Colombia a few years before Pablo Escobar’s death. The problem is, that while it’s a good show – a show that’s important for Colombians (particularly millennials) to watch and understand – it is, at the same time, a show aimed at a global audience that will never understand it the way Colombians do. I was born in 1991. Two years before Pablo Escobar died (spoiler alert!) on a rooftop in Medellín. I lived in Colombia for most of my life, until I moved to the United States in 2013. In the 21 years I lived there, the way I was thought to talk about Pablo was simple: Just say he was a bad man who did many bad things, but those things don’t happen anymore. Oh, and make sure this is what you tell Americans, tourists and anyone that you meet abroad. This is the mindset most people my age and social background were raised with. Colombian millennials speak of Pablo as wizards spoke of Voldemort in 1997. We heard the murmur of “the dark days”, the days of Pablo. When politicians were murdered, planes were blown up, and rebels took the Palacio de Justicia. These are things that adults speak of under their breath. Things that happened, but to us, seem to have happened in another place. In another country. In another world. This is because we are told to forget about our past. To ignore the painful truth and focus on how well things are going nowadays. Why watching “Narcos” became a cathartic experience? I was mad! I was mad at my parents and teachers for hiding the truth. History books don’t talk about it, and unless you take a college class in drug trade or recent Colombian history, you as a Colombian will not know what happened. It’s like we have taken a giant eraser and tried to sloppily fade everything that happened from 1977 to 1993. Yet, Narcos feels authentic. In the opening five minutes, we’re shown an aerial shot of my hometown and my second favorite city in the world (NYC edges this one): Bogotá. Despite the early criticism of the show casting foreign Latinxs, the show features some of the most talented Colombian actors in a generation, such as Juan Pablo Raba, Manolo Cardona, Cristina Umaña and Martina García. Even lesser known Colombian actors, like radio host-turned-actor Mauricio Cujar. The Colombians are by far the standout performers on the show, but we can’t forget Brazilian actor, Wagner Moura whose performance as Pablo Escobar is electrifying! The scenes between Moura and Raba as Pablo Escobar and his cousin Gustavo Gaviria are, by far, the best scenes in the show. So Why is “Narcos” Harmful? 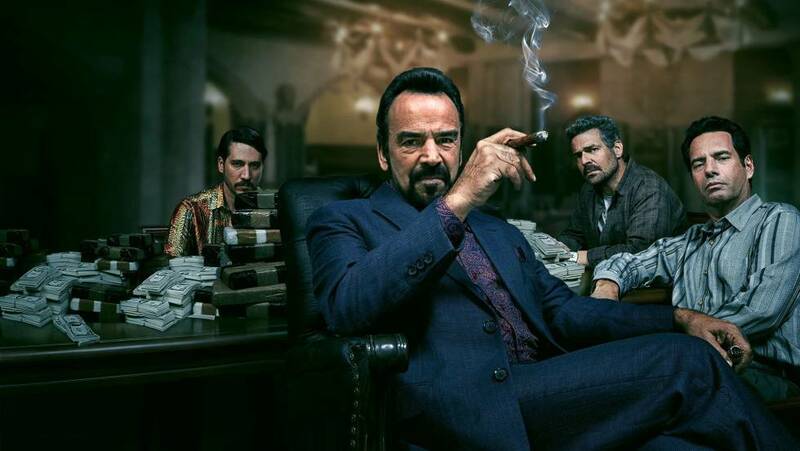 As much good as the show does for Colombia’s film and TV industry, and as good as it is for my generation to understand our past, I understand why “Narcos” is harmful. Credit: The Hunchback of Notredame. Disney. Colombia doing well is great for Colombia, but bad for Hollywood. It’s just not a great story. No one wants to hear about biodiversity or the Peace Process that will end the longest armed conflict in the Americas, because that doesn’t fit the narrative they are selling to the United States. A narrative of barbaric brown people and white saviors. A narrative where Latin America remains a barbaric and underdeveloped region. And more importantly, a narrative where drugs are our problem. Where the “demand” part of “supply and demand” doesn’t count. The White Savior Syndrome, in which a white person is being heralded as a god by thousands of brown people. Particularly in drug shows, white heroes tend to fend off the brown monsters that are the drug dealers. Breaking Bad, which has often been called the best show in the history of TV is the number one offender. Narcos attempts to appease Latinx viewers by giving us nuggets of “woke-ness.” There are scenes where they show the debauchery and hypocrisy of American drug consumers and scenes where they show the true stories of the CIA partnering up and funding murderers in Colombia in their fight against Pablo. A fight guided more by results than the desire of a peaceful Colombia. However, these scenes are treated as afterthoughts. This is where the show becomes a double-edged sword. It tells a story Colombians need to know to face the past and improve our future. But it also reinforces the Colombian stereotype in the minds of those outsiders. Suddenly, Americans are more likely to ask me when was the last time there was a car bomb in Colombia, rather than ask how many Colombian lives were lost for a gram of Colombian cocaine. Narcos tells the story of modern-day Colombia which American audiences are ignoring as they rather focus on just the Hollywood stuff. And who can blame them? The Hollywood stuff is fun. It’s such a compelling story. Despite all this, I stand by my belief that Narcos is an important show for Colombia, and I will continue to watch it and encourage as many Colombians to watch it, too. I will also try to tell my American friends to read between the lines when they watch it. What do you think about “Narcos”? Let us know and don’t forget to hit that share button.